With Mobile World Congress kicking off next week, manufacturers are already announcing their new devices, Acer announced the Acer Liquid E3, and now the company has announced another Android device, the Acer Liquid Z4. The Acer Liquid Z4 is another budget Android smartphone, the device will come with a 4 inch display and Android 4.2.2 Jelly Bean. Following the success of the Liquid Z series, Acer today unveiled the Liquid Z4, a compact 4-inch smartphone designed for those who enjoy taking photos, browsing the internet and using social media. The Liquid Z4 has been designed with smooth edges making it easy to grab on the go. The Liquid Z4 features a compact design and at 9.7mm thick it slips easily into a user’s hand or pocket. The front speaker boosted by DTS Sound™ technology allows for a richer experience. The AcerRAPID™ design acts as a personal control key bringing even more “one-hand” control to the user allowing them to unlock and/or wake-up the screen, launch the camera, take a picture, launch apps from home screen and pick up phone calls in a very intuitive way. 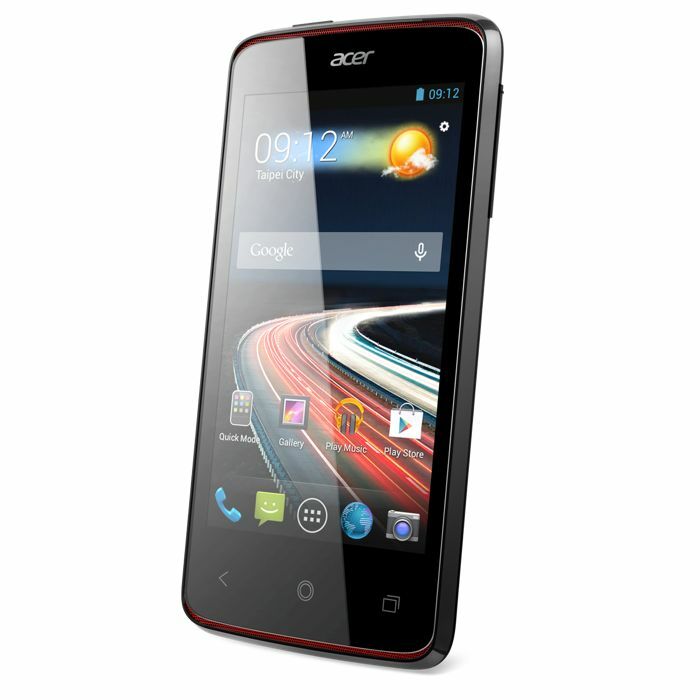 The Liquid Z4 comes with the latest version of Acer custom user interface, the Acer Liquid UI, and it features a 5 megapixel camera with auto focus and an LED flash. Other specifications on the Acre Liquid Z4 include a dual core 1.2GHz processor and 4GB of built in storage, the handset will retail for 99 Euros without a contract when it launches in April.